This powerful combination of high grade detergents, emulsifiers and wetting agents was designed to fulfill the demands of everyday cleaning. It contains no harmful acids, abrasives or harsh alkalize so it is kind to hands. vCleans and protect the finish in high traffic areas, lobbies and foyers. vPerfect for marble, granite and stones floors. Use on any ceramic tile or hardwood floor. Designed for a 1,000 daily cleaning demands. 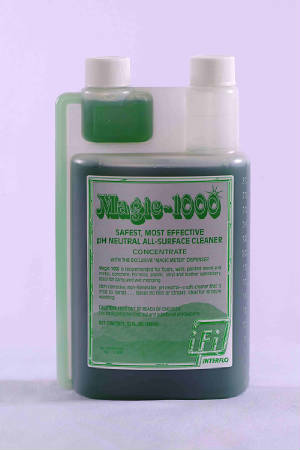 The perfect product to CLEAN and PROTECT your floor finish. Non-corrosive, non-flammable and pH neutral stops surface damage and dulling.